Do it from Mallorca, from bedndesk! bedndesk is one block away from Playa de Palma, a 5 km white sandy beach. We are the perfect spot to enjoy your business + leisure stay! Don’t worry about anything, we provide the house, the office and you will meet like-minded people. 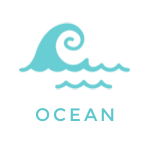 We are an oasis for a digital nomad or any independent location worker. The sheltered bays, dramatic coastlines of the West, and the tranquil calas and coves of the East make Mallorca a beautiful spot to spend time on a boat in the Mediterranean sea. 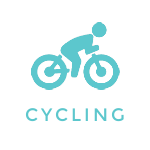 The Balearic Islands is the ideal setting for cycling, be it professional, amateur or simply as a way to enjoy oneself on a means of transport that allows the surroundings to be admired to the utmost. The preseason training that several professional and amateur teams carry out in the islands is proof of the top-quality infrastructures that translate into hotels that cater to these visitors, among other services. Without a doubt, one best ways to enjoy the islands’ landscape while exercising at the same time is hiking; which affords the additional lure of being able to observe all the beauty encountered along the way up close. The islands’ mild climate enables visitors to take advantage of routes that cross mountains, valleys or plains, as the archipelago’s varied orography allows them to choose the itinerary that suits them best. 1 minute walk to the beach! An office mixed between local and international people. Work desk with a screen (on demand). 300 MB fiber optic internet speed. Relax area with coffee and games. Access to the meeting room and skype room. Printer and a 3D printer (you can get a course on how to use it). 2 Kitchens and 2 dinning area. Rooftop terrace / BBQ / chill out area. The best place to stay in Mallorca! Awsome internet and goregous workingspace. Thanks for the wonderfull time! Loved staying at bedndesk! What a perfect way to mix work and fun. Felt I got so much done and yet also got to enjoy the beaches, and had a great time meeting and hanging out with the other coworkers there. 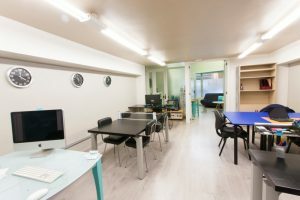 I stayed in the coliving space and felt it was super comfortable, cozy, and clean. Highly recommend it! I spent a month here this March and just loved it. I had all these peaceful walks to the woods and to the beach every day. The office was a great environment for work and I’d get to catch the sunset every evening on the beach once I signed off work. Matias is a seriously kind person, he very much goes out of his way to make sure you’re comfortable and doing well. You can see he really is just a caring person. I also enjoyed being a little outside of Palma. The buses are easy to use and I went into town often...but I also liked coming home to the more chill vibe in Arsenal. I’d definitely recommend bedndesk and would like to go back soon. Very cool place. You don't have to think about much besides your own work and having a relaxing time. Very fast internet, and all the facilities to have a comfortable time. I stayed at BednDesk for a month in shoulder season (March/April). Matías (owner), Aldana and Andy (coworkers) made me feel really welcome. They're such warm and kind people and always tried to help whenever they could. My room in the coliving space was basic but comfy. I really liked the kitchen, it's kitted out well and that it even motivated me to cook - that says something! 😉 The entire place was cleaned thoroughly once a week. The co-working space (right next door, super convenient) had everything I needed: fast, reliable internet, Nespresso coffee, nice people, heating/airco and even a palm tree. My clients always commented on it during Skype meetings. 🙂 All of this allowed me to get lots of work done, and when I felt like a break I took a 5m walk to the beach and put my feet in the water, or sat down under a palm tree with an ice cold drink listening to the waves and someone playing guitar. Those mini-breaks were really refreshing. I don't drive and found it fairly easy to get around to Palma by bus (10 tickets for €10 at the tobacco shop), and even to take a day trip to the beautiful Golden Valley of Sóller. 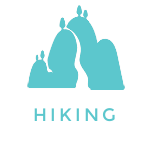 I also signed up for Meetup and joined the local hiking group for 2 unforgettable day hikes. All in all, I had a wonderful stay and wholeheartedly recommend both BednDesk and Mallorca to any digital nomad who wants to spend some time in the beautiful climate of the south. One week at bnd and I've met interesting people, pushed my work one step forward, visited beautiful Mallorca and enjoyed taking little breaks to go to the beach in front of the office 😉 I felt at home both in the house and in the office. Both are full of little details that made my stay fantastic! I'll be back soon! Awesome place to rest and extremely nice business owners! Great place for digital nomads. Offers the full stack you need to work and communicate. 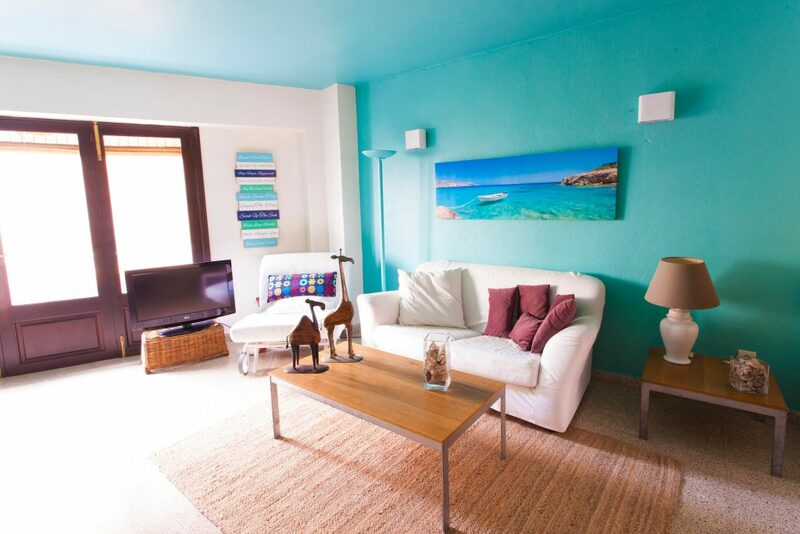 Located only a few steps away from the beach, bars, restaurants, and parties! Perfect place to work and call home for any amount of time. Exceptional host. Everything you need is right there and organized in a very clean and thoughtful space. I was very happy to have found this place and also met another freelance remote worker/traveler while I was there. 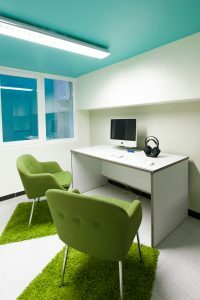 Tanto el espacio de trabajo como el de residencia son perfectos para una completa experiencia. La localización es ideal, cerca de la playa, con todos los servicios necesarios al alcance. Además Matías es un anfitrión estupendo y consigue que tu estancia sea lo más agradable posible. Totalmente recomendable. Great location, great bed, great desk, and a perfect host! Great place to work and enjoy the sea, top location 1 minute from an amazing beach and wonderful people in the office! Had such a fabulous time here! What a great community and time to be productive while exploring the beautiful island of Mallorca! Grateful for the super high speed internet! Will definitely return again! There are too many amazing things to say about Bedndesk in Mallorca!!! 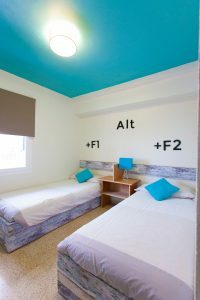 After spending all of June co-living / co-working there, I'll share what I believe is most useful to people seeking a place to live and work nomadically. 1) Matias is a generous, welcoming, and super fun host! He and the other local coworkers – Paula and Manuel – made Bnd a special experience. I cannot speak highly enough about the community they have created. 2) The co-living space is clean, spacious, and well thought out. From the keyboard commands used to mark rooms and food bins to the clever 3D-printed cleats used as toilet paper holders, everything about the space is pretty darn cool. 3) Bedndesk is in Arenal. If you don’t know what that is (i.e., you’re not German), be prepared for a hell of a cultural experience and unique party scene. Buy some cheap earplugs, and you’ll be fine. Just remember, you can bike, walk, bus, or drive a few short minutes to reach nature. I biked and rock climbed 3+ days a week during my stay and LOVED the fact that I could order kebab and brats at midnight in Arenal after a big day on the walls. I can keep going and going. If you’re considering a stay at Bedndesk, just do it!!! Ask Matias for my info if you'd like to speak / email. Nice place to stay and work! Fast internet connection and good A/C to work on hot days. I really enjoyed my time there! Will definitely come back! Thanks Matias! Bedndesk in Mallorca is a memorable experience. Matias the host is genuinely the warmest, kindest and fun host, he made the office atmosphere so great, it's a great place for meeting new people whilst knowing you can work in a really nice/calm space. I want to return to Mallorca longer term and hope we can spend more time working from bedndesk - I am also very jealous of the paddle boarding thursdays - I need to come back!! Click and get an invitation to our slack! Check next events on meetup! Yes, I would like to receive information about bedndesk's offers and news.